Some visitors to the Pirates of the Caribbean ride at California’s Disneyland got a surprise: Captain Jack Sparrow himself. Johnny Depp donned the getup of his swashbuckling alter ego and interacted with riders on Wednesday. Videos taken by park goers and shared on social media show Depp chatting with fans as they passed by on the ride’s boats. He also spoke to a crowd outside. 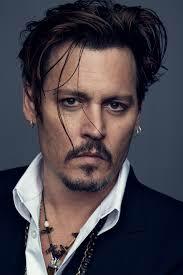 Depp returns to the big screen as Sparrow next month in the fifth film based on the ride. “Pirates of the Caribbean: Dead Men Tell No Tales” opens May 26, after premiering at Shanghai Disneyland on May 11.